Black I.P.A. from Beau’s “Le Cœur Noir” in LCBOs this Week! Beau’s Brewery’s newest beer release will become widely available beginning this week in LCBOs across Ontario. Le Cœur Noir Black I.P.A. is a contemporary American beer style that combines black beer colour, assertive hop flavour and aroma, and toasty dark malt character. Nearly opaque, this 7.1% I.P.A. is robust, but the alcohol remains well integrated. It offers up aromas of citrusy, piney hops with malt intonations, toast and restrained mocha. 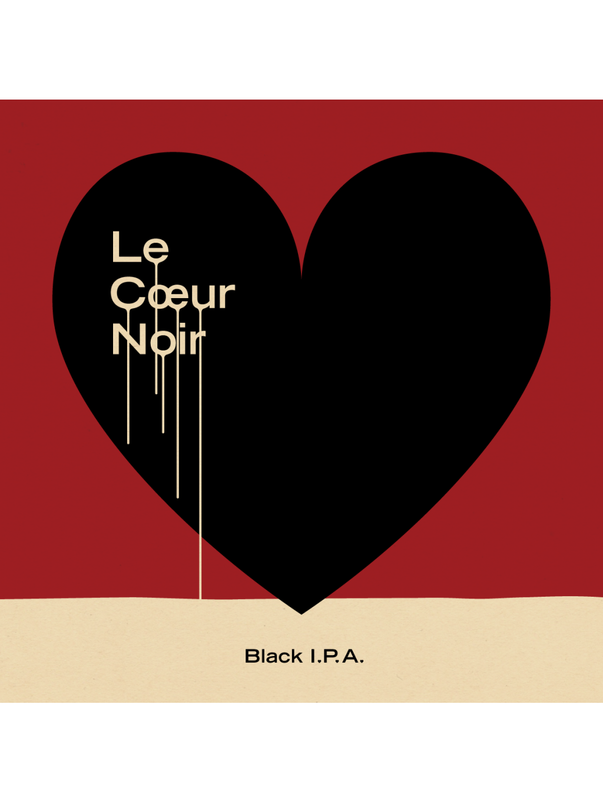 The recipe for Le Cœur Noir was developed collaboratively in early 2015, with brewer Jordan Rainhard, of Rainhard Brewing in Toronto. Rainhard had won a home-brewing contest the year before, earning him the prize of coming to Beau’s and brewing a full batch of his creation. With Rainhard now having turned pro and starting a craft brewery of his own, the Beau’s brew team decided to bring back Le Cœur Noir in a new release to celebrate his success. Rainhard was on hand to brew the latest edition of this collaboration between the two Ontario craft breweries. Le Cœur Noir marks the 60th release in Beau’s Wild Oats Series of beers, designed to explore bold flavours and exciting aromas. Beau’s resident chef Bruce Wood recommends pairing it with similarly bold-flavoured foods and cheeses, such as lamb vindaloo, black pepper seared striploin, and strong, dry blue cheeses like Glengarry Celtic blue or Ermite from Québec. Le Cœur Noir is available this winter in Beau’s signature 600 ml bottles at Ontario LCBO stores, as well as directly from the Vankleek Hill brewery. It can also be ordered for home delivery in Ottawa via social enterprise BYBO. On draught the beer can be found at craft-friendly restaurants and pubs, and it will also be made available in Québec the following week.